Things have been interesting around ACCBR lately. I found a young man on twitter who released his own ACC Power Rankings and rather than compete with him, I recruited him. Now he is here and we are better off with him. Please welcome Kinchen Taylor to the ACCBR family. I am not done people, if you are interested in writing about whatever you feel, hit me up. The Power Rankings are going to be a staple from here on out. This is Week 1 of a collaborative effort among the ACCBR staff, its pretty simple, the only unique things about it are the people behind the rankings actually watch the games. The most obvious thing that sticks out is that we all rank Louisville ahead of Virginia Tech. I cannot speak for my crew, but that was the toughest decision this week. Though the Hokies crushed Syracuse yesterday, there is something about Louisville that is intriguing. They just play hard and their roster is very well rounded. The other obvious revelation is that we no longer expect Notre Dame to turn it around, this team is simply a work in progress and will be a force next season, but this years aspirations are most likely bunk. It’s not surprising Kinchen is higher on NC State (hes an alumni), but Charlie being higher on Georgia Tech than I am is refreshing. 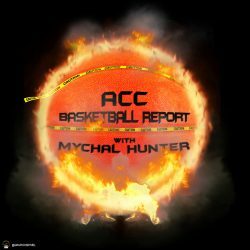 As always your feed back is welcome, hit us up at ACCBasketballReport@gmail.com and if you have a compelling argument I’ll read and answer it on the air.